The weather this weekend was truly atrocious. 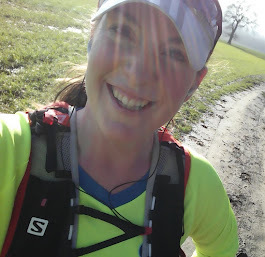 Although I knew I wanted to get my long run in on Saturday morning, when I got up and realised how awful it was, I really didn't know if I would manage it - the rain was monsoon heavy and the wind was howling. There have been many times in the past when the weather being quite so bad would have left me sat on the sofa staring out of the window, but this time I pulled myself together, found my long leggings, my rain-jacket and hat...and I made myself step out of the door. And I was absolutely soaked to the skin in minutes. But I carried on, and to be honest, it wasn't as bad as I thought it was going to be. The rain was incredibly heavy, but it wasn't too cold, although with the noise of the rain and the cars I could barely hear my ipod (even on maximum volume settings). 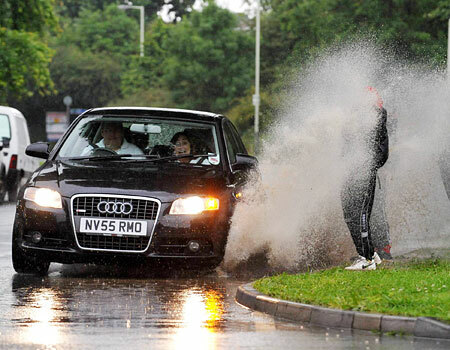 But my biggest problem was with the splashes! But on I went...the rain eased off a bit every so often, but then went back to monsoon conditions, and it really was the worst weather I think I've run in. Half way through I could have turned off and gone home but I stuck with it and got my second lap in, for a total of 12 miles. I do think it's important to run in whatever conditions there are - you can never control them on race day and it's worth getting used to whatever's out there so you don't get too much of a shock! I'm pleased I went out, pleased I stuck with it, but was also very pleased to get home, out of my drenched clothes and into a warm shower! !